She currently lives in Northern California with the man of her dreams and their two boys, whom she fully intends to turn into little adventurers. Author of Gaia’s Secret, The Keeper’s Flame, Breath of Dragons (a 2015 RONE Award winner), and Heir of Pendel (a 2016 RONE Award Finalist). 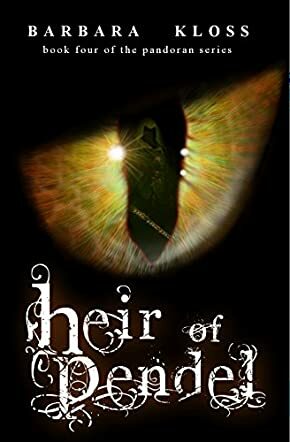 Heir of Pendel (A Pandoran Novel, #4) by Barbara Kloss is the final chapter of a young adult fantasy series that follows the escapades of Daria. By book four, Daria has left Alex to marry a man she doesn't love in order to save the kingdom. With the marriage proposal intact, Lord Danton Pontefract promises many supportive troops that can hopefully defeat Eris and the shadow guard. Thaddeus and Vera are in the thick of the battle, hoping to slow the shadow guard until Daria's promised reinforcements show up. But can Daria forget about her feelings for Alex? If she doesn't marry the man she's promised to, how will they ever defeat Eris? Sensing a impending victory, Eris has his eyes set on more than just Gaia. He's focusing on all of Earth, and only Daria can stop him. This is a beautiful fourth installment in a very popular and well written series. I had the pleasure of reading and reviewing the third installment and think readers will enjoy this final chapter just as much, if not more now that they finally have the conclusion that they wanted! The only disappointment is that the series is over and readers can no longer join this fantastic cast of characters on a wild and extremely entertaining adventure. Fantasy readers will love all of the traditional fantasy elements within this story but will also appreciate the romance and heartbreak that this story offers, making it a very well rounded and well written book.